A Gantt chart is a bar graph that illustrates a timeline of a project. It charts the project from beginning to end. The work breakdown structure of the project is composed of terminal elements and summary elements. In addition, they show the current status of the project and also helps one to stay on schedule in order to meet the project deadline. On the left side of the chart are a list of activities that must be completed within the project. A bar containing a start and end date represents each activity. Also, the Gantt chart helps project managers and other team members visualize which activities need to be completed in order to complete the project, the beginning and ending of each activity, the duration of each activity, overlapping of activities and the start and end date of the entire project. 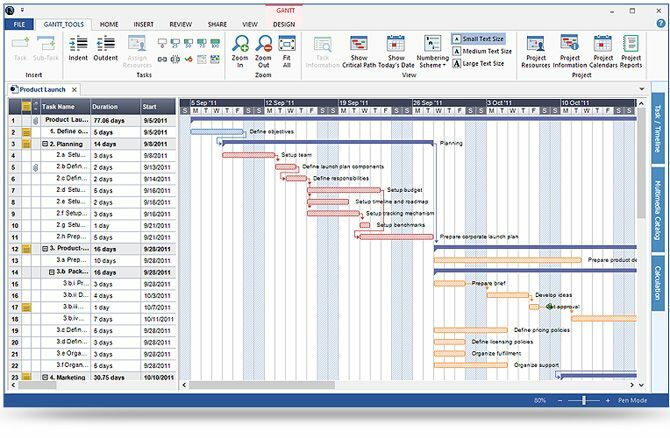 Gantt chart software makes project management much more efficient. Software, such as MindView, allows one to view their project in the work breakdown structure view and then easily convert to the Gantt view. MindView fine-tunes it to manage task information from beginning to end. The project data is easy to read and visually appealing. Also, MindView is compatible with Microsoft Project. Also, import your charts in from MS Project. 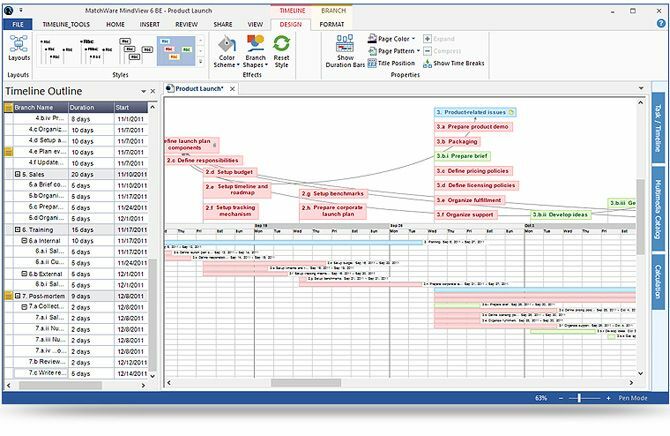 View the chart as a timeline, simplifying the tasks within a project for those who may be unfamiliar with Gantt charts. MindView is the perfect software for managing task information from start to finish. MindView helps you create schedules, manage schedule and scope changes, and allocate resources to keep your projects on budget, and on time, all in a visually appealing interface.